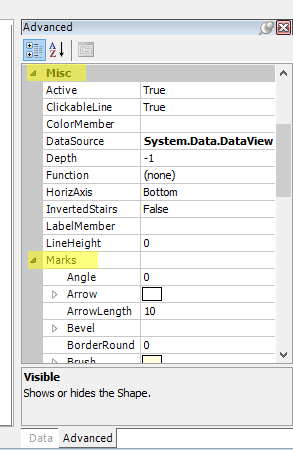 Add labels to XY Chart vertices to facilitate ease of use by following the six steps below. 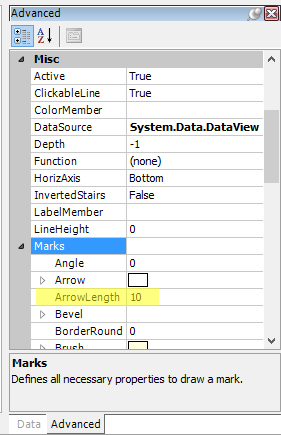 Right-click on the series line and select Advanced > All Series. Go to the Advanced Tab > Misc > Marks > Visible. 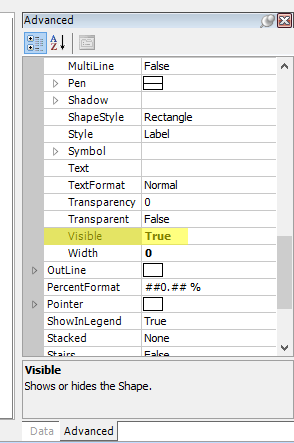 Set Visible to = True. 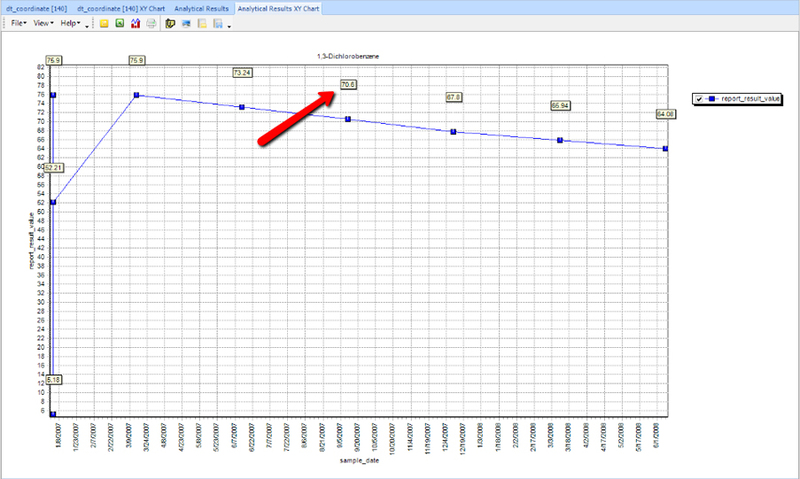 Adjust the offset of the labels (y-axis only), by using the arrow length in the Marks Section of the Advanced Tab.